Filled with wonder, humour and compassion, Simon Garden’s paintings describe the human condition through open-ended stories and unresolved metaphors painted in vibrant, beautifully balanced tone and colour. Born in 1960, Simon Garden graduated from Exeter College of Art and Design in 1982 with a first class honours degree in art. Since then he has gone from strength to strength, exhibiting widely throughout the UK. 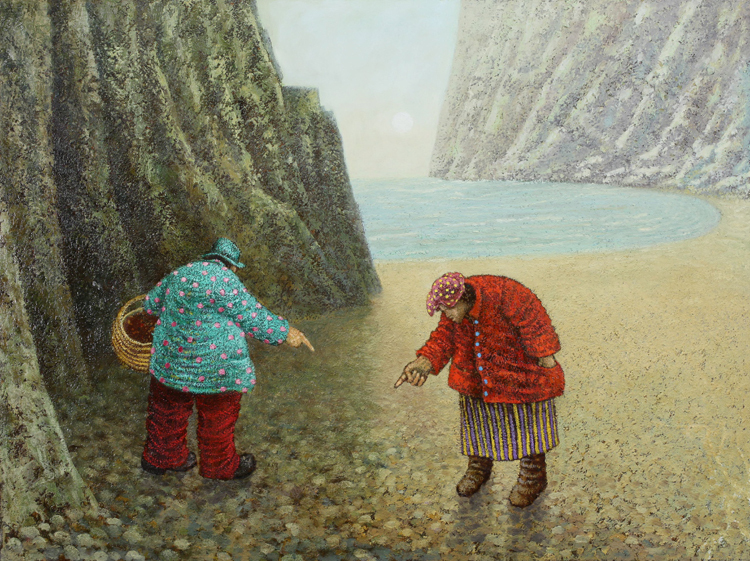 He has been a regular exhibitor at the Royal Academy and the Royal West of England Academy where he was one of the youngest artists to be elected as an Academician. His work features in private collections throughout the world. Simon shows with Thompsons Gallery in London. 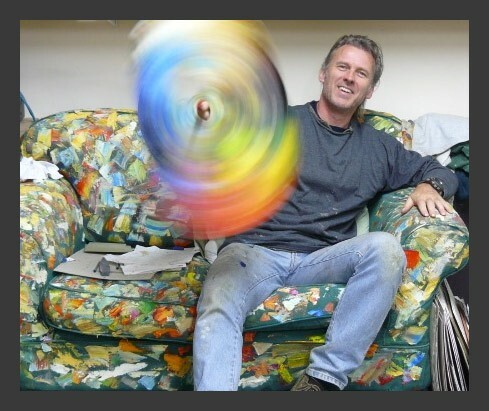 Simon first exhibited at Sladers Yard in 2010, had a solo exhibition in 2011 and has taken part in a number of group shows. The paintings in the show are below. Please click on an image to see it enlarged with caption. Please phone Sladers Yard on 01308 459511, email gallery@sladersyard.co.uk or reply to this page to enquire about Simon Garden’s paintings. Has Simon brought some new paintings over?